Wearing a chic scarf, converse sneakers and her trademark megawatt smile, Yvonne Fleming can hardly contain her excitement when talking about her prospects for a bright and active future. 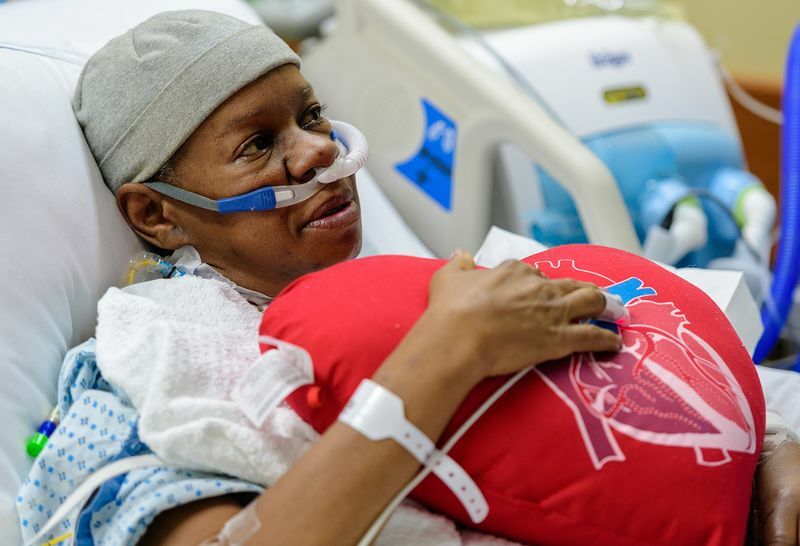 At the Sandra Atlas Bass Heart Hospital at North Shore University Hospital in February 2018, Yvonne became Long Island’s first heart transplant recipient. 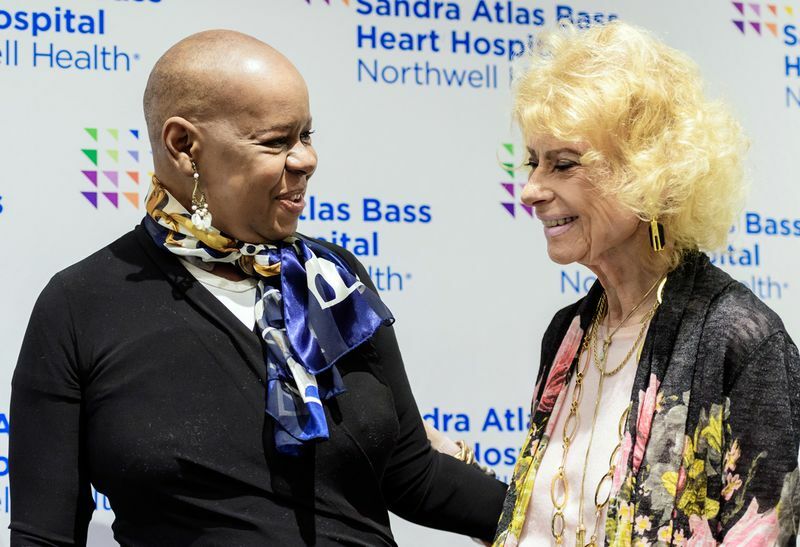 An emotion-filled press conference commemorating this milestone allowed Yvonne to meet the Bass Heart Hospital’s benefactor, Sandra Atlas Bass, whose support helped make the Heart Hospital, and Yvonne’s operation, possible. I put my hand over my chest and actually felt my heart beating,” she said. “All I could say was ‘Wow… wow… I’m alive. 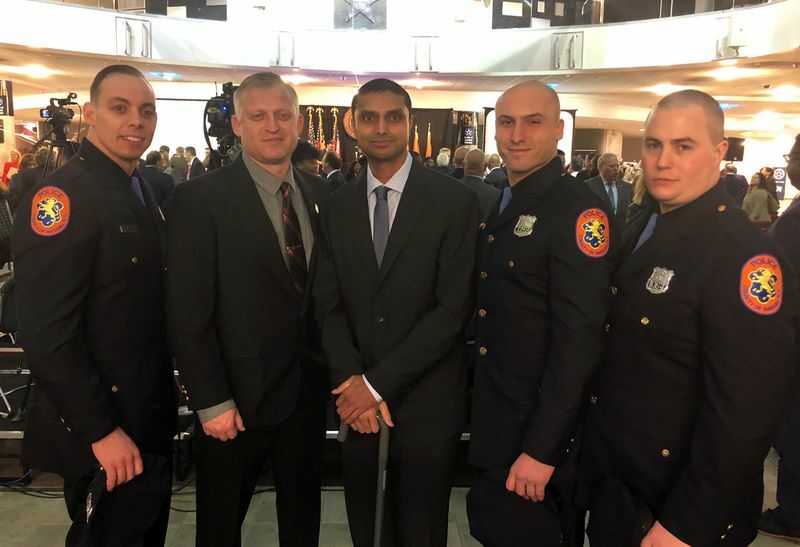 Before this historic moment, Long Island’s 7.5 million residents needed to travel to Manhattan or the Bronx to receive heart transplant surgery. At around 1:30 a.m. last Nov. 9, Yvonne awoke from a disturbing dream. She dreamt she was sent to a white room, where “a very nice lady” told her she had to remember five phone numbers to leave. Panicked, Yvonne recited some old phone numbers. She would later learn that she was experiencing a massive heart attack. 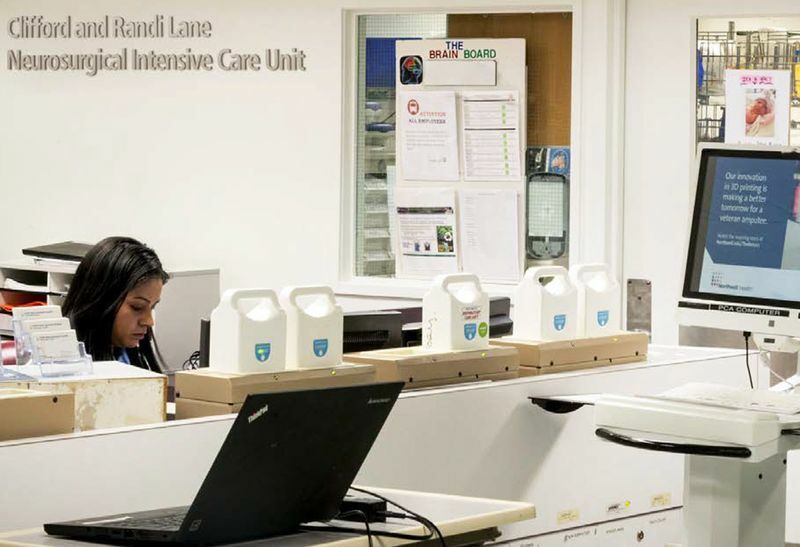 After a series of complications and hospital stays, Yvonne’s condition was deteriorating. She was in congestive heart failure. She soon learned she was a candidate for heart transplant surgery at North Shore University Hospital. “When they said, ‘We have a heart for you,’ I just kept saying to myself, ‘Wow. This is not real… This can’t be happening today,’” Yvonne remembers. 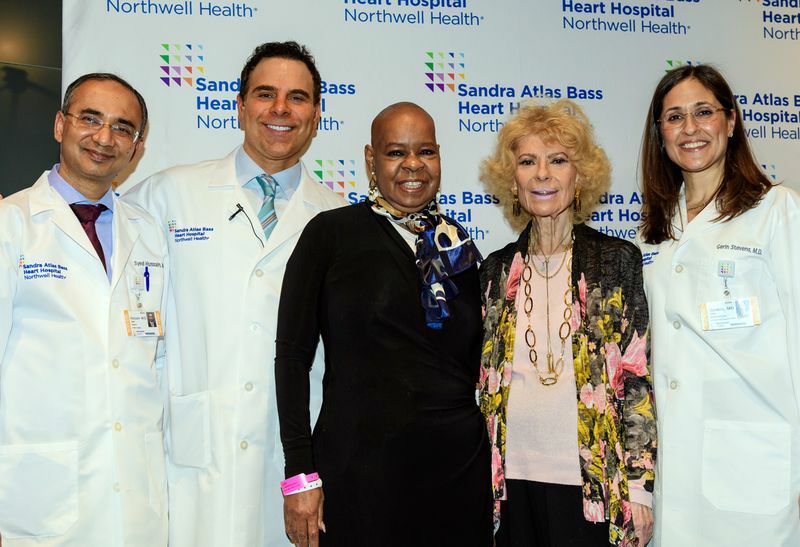 While hers was the first heart transplant performed at Northwell’s Sandra Atlas Bass Heart Hospital, Yvonne’s transplant team comprised renowned specialists recruited from prominent institutions across the country. 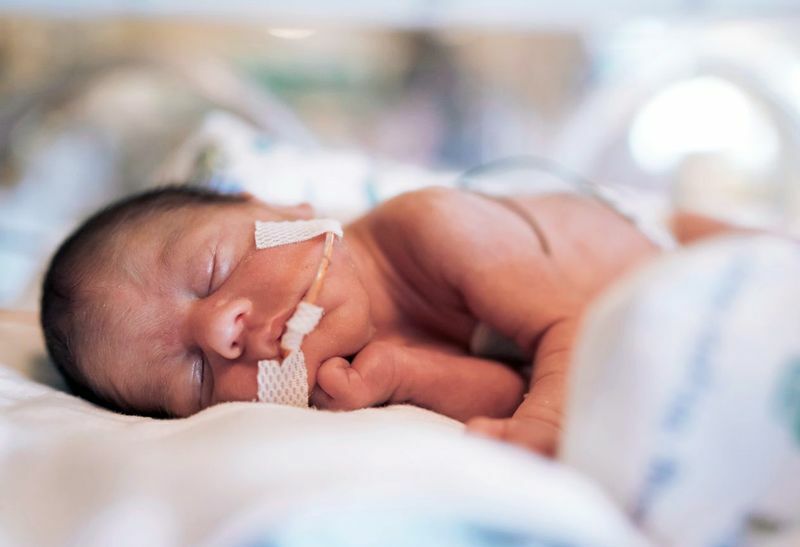 Gerin Stevens, MD, medical director of the transplant program; Brian Lima, MD, surgical director of the program; and Syed Hussain, MD, the lead heart procurement surgeon, have experience in more than 500 heart transplant cases among them. Yvonne credits her doctors and the grace of God for her second chance at life, but also regrets that someone had to die so she could live. “The first time I saw my heart beating… that feeling was so immense, so beautiful — I can’t describe it,” Yvonne says. “I can breathe freely again and am getting back to life, one day at a time. I vowed that if I got a heart, I would respect, honor and take care of it — and I promise I will.